Konami has another ReBirth title in the pipeline: Castlevania the Adventure. The title just picked up a Teen rating from the ESRB and should arrive on WiiWare, the same as its Contra and Gradius siblings. 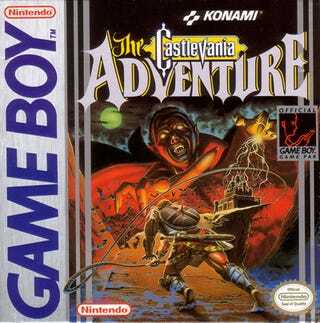 Rating summary: This is a side-scrolling action game in which players battle against monsters in Dracula's castle. Players use a chained whip to fight their way through halls and dungeons filled with zombies, skeletons, flying eyeballs, and bats. The enemy creatures frequently shoot projectiles and attack players in hand-to-hand combat. If players sustain too much damage, they keel over and emit a burst of red blood. Some rooms in the castle also have spikes or spears stained with red, blood-like splotches.